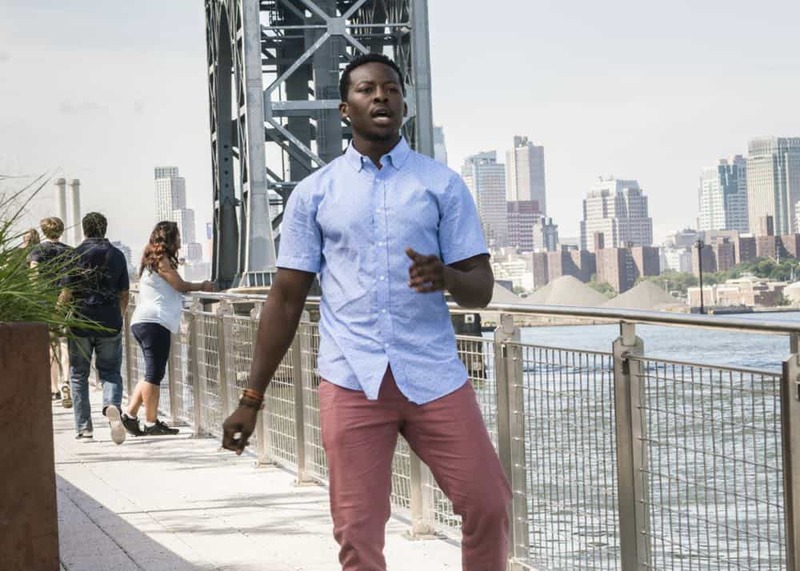 GOD FRIENDED ME Season 1 Episode 3 Photos Heavenly Taco Truck – “Heavenly Taco Truck” – Miles’ wallet is stolen when he, Rakesh and Cara check out a food truck the God Account suggests that he “like.” But when the account then suggests that he befriend a private investigator, Miles decides to turn the tables and have the PI help him track down the thief, who Miles believes is linked to the account, on GOD FRIENDED ME, Sunday, Oct. 14 (8:30-9:30 PM, ET/8:00-9:00 PM, PT) on the CBS Television Network. 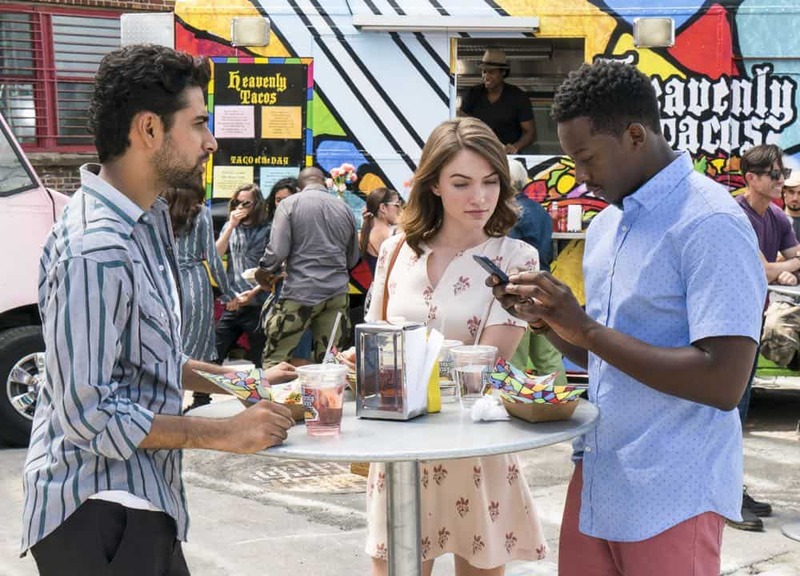 “Heavenly Taco Truck” — Miles’ wallet is stolen when he, Rakesh and Cara check out a food truck the God Account suggests that he “like.” But when the account then suggests that he befriend a private investigator, Miles decides to turn the tables and have the PI help him track down the thief, who Miles believes is linked to the account, on GOD FRIENDED ME, Sunday, Oct. 14 (8:30-9:30 PM, ET/8:00-9:00 PM, PT) on the CBS Television Network. 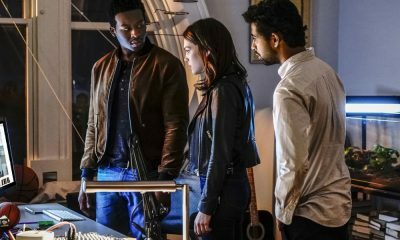 Pictured L to R: Suraj Sharma as Rakesh Singh, Violett Beane as Cara Bloom and Brandon Micheal Hall as Miles Finer. Credit: Barbara Nitke/ÃÂ©2018 Warner Bros. Entertainment Inc. All Rights Reserved. “Heavenly Taco Truck” — Miles’ wallet is stolen when he, Rakesh and Cara check out a food truck the God Account suggests that he “like.” But when the account then suggests that he befriend a private investigator, Miles decides to turn the tables and have the PI help him track down the thief, who Miles believes is linked to the account, on GOD FRIENDED ME, Sunday, Oct. 14 (8:30-9:30 PM, ET/8:00-9:00 PM, PT) on the CBS Television Network. 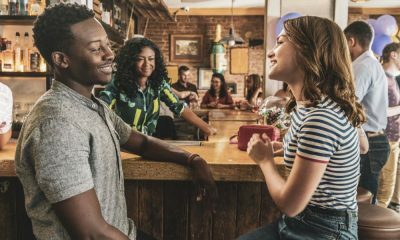 Pictured L to R: Violett Beane as Cara Bloom, and Brandon Micheal Hall as Miles Finer. 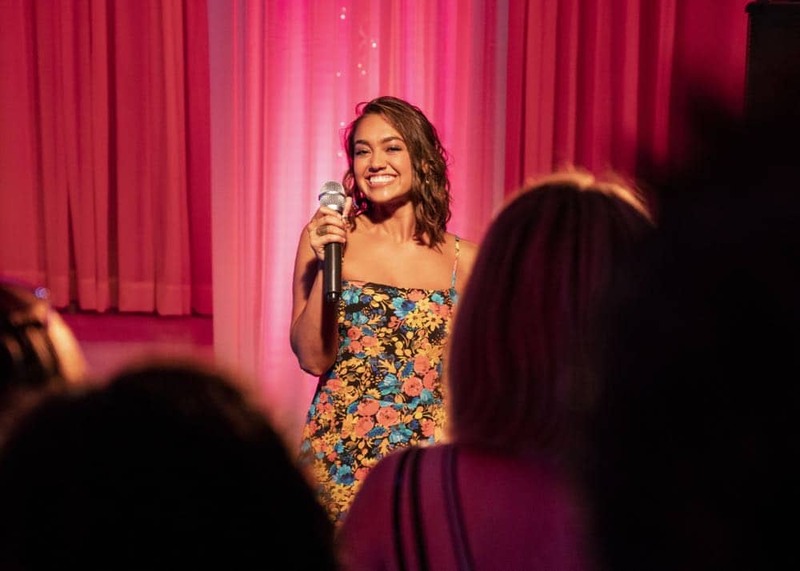 Photo Credit: Barbara Nitke/ÃÂ©2018 Warner Bros. Entertainment Inc. All Rights Reserved. 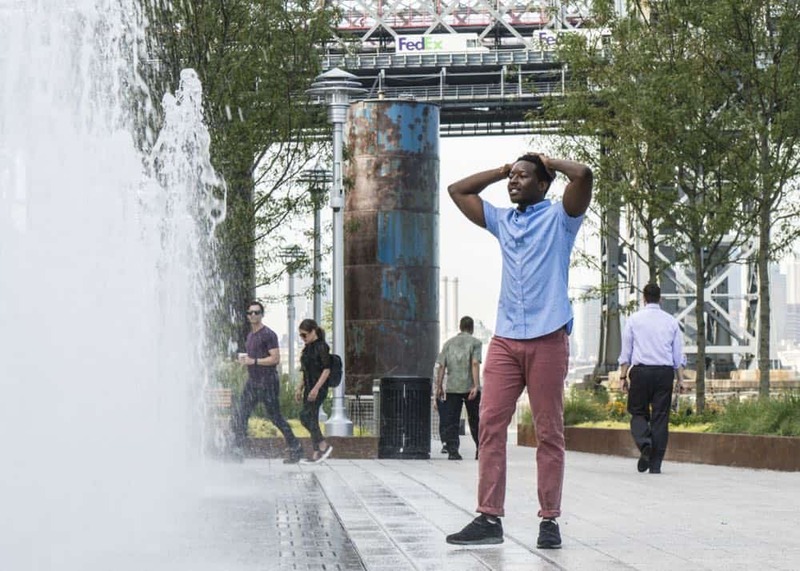 “Heavenly Taco Truck” — Miles’ wallet is stolen when he, Rakesh and Cara check out a food truck the God Account suggests that he “like.” But when the account then suggests that he befriend a private investigator, Miles decides to turn the tables and have the PI help him track down the thief, who Miles believes is linked to the account, on GOD FRIENDED ME, Sunday, Oct. 14 (8:30-9:30 PM, ET/8:00-9:00 PM, PT) on the CBS Television Network. 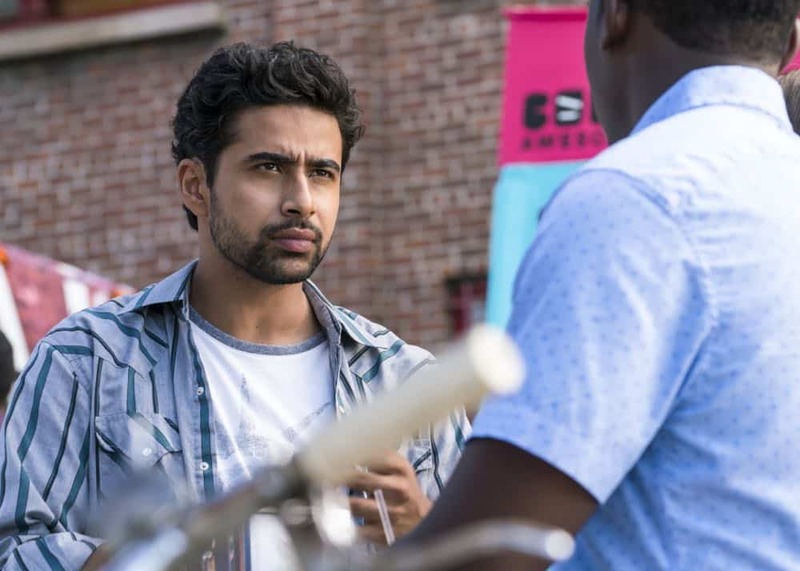 Pictured: Suraj Sharma as Rakesh Singh. Photo Credit: Barbara Nitke/ÃÂ©2018 Warner Bros. Entertainment Inc. All Rights Reserved. “Heavenly Taco Truck” — Miles’ wallet is stolen when he, Rakesh and Cara check out a food truck the God Account suggests that he “like.” But when the account then suggests that he befriend a private investigator, Miles decides to turn the tables and have the PI help him track down the thief, who Miles believes is linked to the account, on GOD FRIENDED ME, Sunday, Oct. 14 (8:30-9:30 PM, ET/8:00-9:00 PM, PT) on the CBS Television Network. 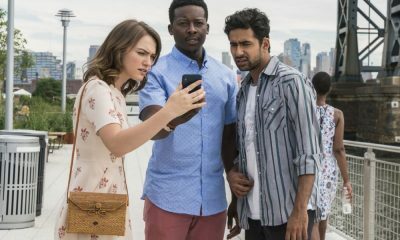 Pictured L to R: Violett Beane as Cara Bloom, Brandon Micheal Hall as Miles Finer and Suraj Sharma as Rakesh Singh. Photo Credit: Barbara Nitke/ÃÂ©2018 Warner Bros. Entertainment Inc. All Rights Reserved. “Heavenly Taco Truck” — Miles’ wallet is stolen when he, Rakesh and Cara check out a food truck the God Account suggests that he “like.” But when the account then suggests that he befriend a private investigator, Miles decides to turn the tables and have the PI help him track down the thief, who Miles believes is linked to the account, on GOD FRIENDED ME, Sunday, Oct. 14 (8:30-9:30 PM, ET/8:00-9:00 PM, PT) on the CBS Television Network. PicturedL Shazi Raja as Jaya. Photo Credit: David Giesbrecht/ÃÂ©2018 Warner Bros. Entertainment Inc. All Rights Reserved. “Heavenly Taco Truck” — Miles’ wallet is stolen when he, Rakesh and Cara check out a food truck the God Account suggests that he “like.” But when the account then suggests that he befriend a private investigator, Miles decides to turn the tables and have the PI help him track down the thief, who Miles believes is linked to the account, on GOD FRIENDED ME, Sunday, Oct. 14 (8:30-9:30 PM, ET/8:00-9:00 PM, PT) on the CBS Television Network. 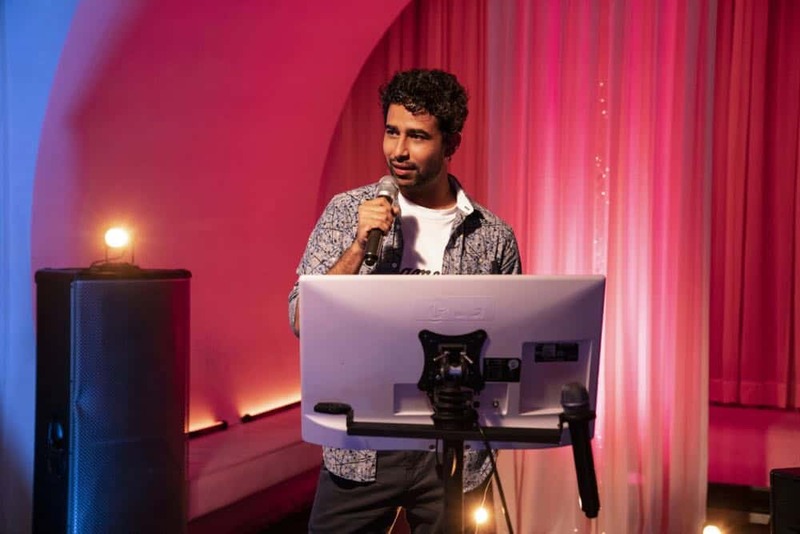 Pictured: Suraj Sharma as Rakesh Singh. Photo Credit: David Giesbrecht/ÃÂ©2018 Warner Bros. Entertainment Inc. All Rights Reserved. “Heavenly Taco Truck” — Miles’ wallet is stolen when he, Rakesh and Cara check out a food truck the God Account suggests that he “like.” But when the account then suggests that he befriend a private investigator, Miles decides to turn the tables and have the PI help him track down the thief, who Miles believes is linked to the account, on GOD FRIENDED ME, Sunday, Oct. 14 (8:30-9:30 PM, ET/8:00-9:00 PM, PT) on the CBS Television Network. 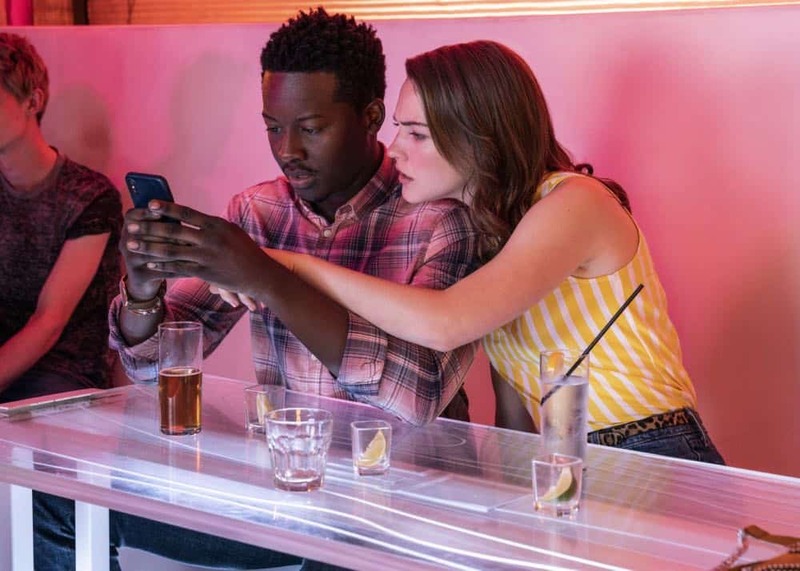 Pictured L to R: Brandon Micheal Hall as Miles Finer and Violett Beane as Cara Bloom. Photo Credit: David Giesbrecht/ÃÂ©2018 Warner Bros. Entertainment Inc. All Rights Reserved. 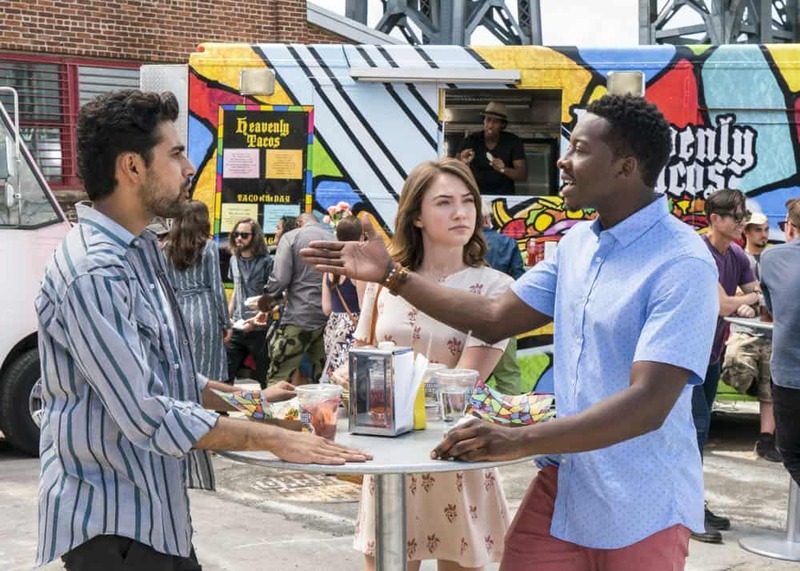 “Heavenly Taco Truck” — Miles’ wallet is stolen when he, Rakesh and Cara check out a food truck the God Account suggests that he “like.” But when the account then suggests that he befriend a private investigator, Miles decides to turn the tables and have the PI help him track down the thief, who Miles believes is linked to the account, on GOD FRIENDED ME, Sunday, Oct. 14 (8:30-9:30 PM, ET/8:00-9:00 PM, PT) on the CBS Television Network. 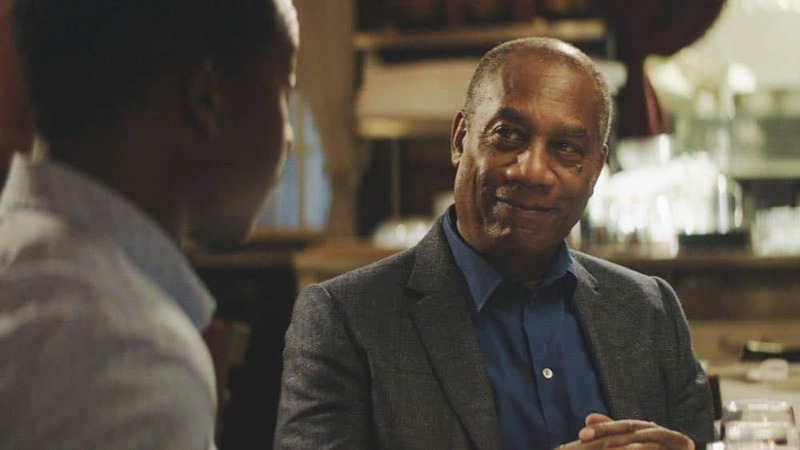 Pictured: Joe Morton as Reverend Arthur Finer. Photo Credit: screengrab/ÃÂ©2018 Warner Bros. Entertainment Inc. All Rights Reserved. “Heavenly Taco Truck” — Miles’ wallet is stolen when he, Rakesh and Cara check out a food truck the God Account suggests that he “like.” But when the account then suggests that he befriend a private investigator, Miles decides to turn the tables and have the PI help him track down the thief, who Miles believes is linked to the account, on GOD FRIENDED ME, Sunday, Oct. 14 (8:30-9:30 PM, ET/8:00-9:00 PM, PT) on the CBS Television Network. 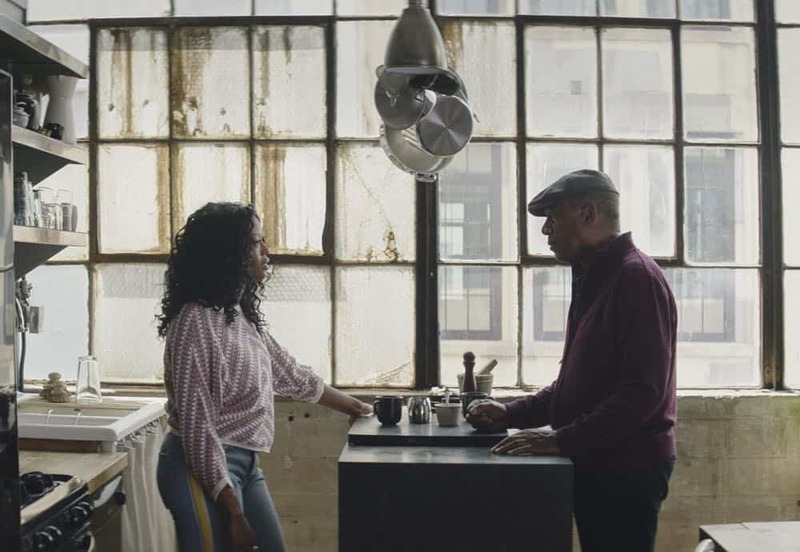 Pictured L to R: Brandon Micheal Hall as Miles Finer, Joe Morton as Reverend Arthur Finer, and Javicia Leslie as Ali Finer. Photo Credit: screengrab/ÃÂ©2018 Warner Bros. Entertainment Inc. All Rights Reserved. “Heavenly Taco Truck” — Miles’ wallet is stolen when he, Rakesh and Cara check out a food truck the God Account suggests that he “like.” But when the account then suggests that he befriend a private investigator, Miles decides to turn the tables and have the PI help him track down the thief, who Miles believes is linked to the account, on GOD FRIENDED ME, Sunday, Oct. 14 (8:30-9:30 PM, ET/8:00-9:00 PM, PT) on the CBS Television Network. 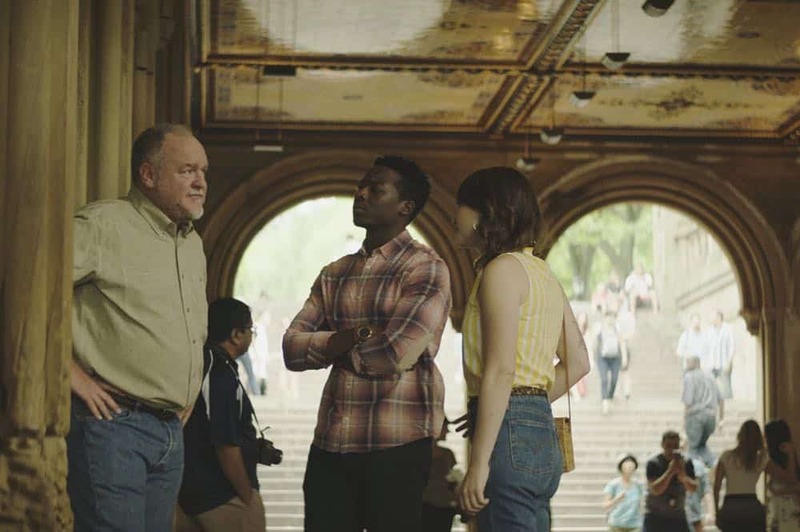 Pictured L to R : Brent Sexton as Ray Nicolette, Brandon Micheal Hall as Miles Finer, and Violett Beane as Cara Bloom. 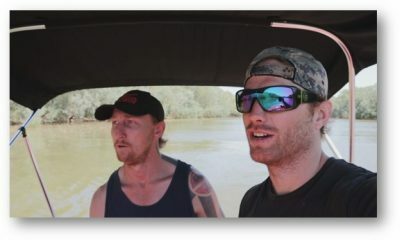 Photo Credit: screengrab/ÃÂ©2018 Warner Bros. Entertainment Inc. All Rights Reserved. “Heavenly Taco Truck” — Miles’ wallet is stolen when he, Rakesh and Cara check out a food truck the God Account suggests that he “like.” But when the account then suggests that he befriend a private investigator, Miles decides to turn the tables and have the PI help him track down the thief, who Miles believes is linked to the account, on GOD FRIENDED ME, Sunday, Oct. 14 (8:30-9:30 PM, ET/8:00-9:00 PM, PT) on the CBS Television Network. 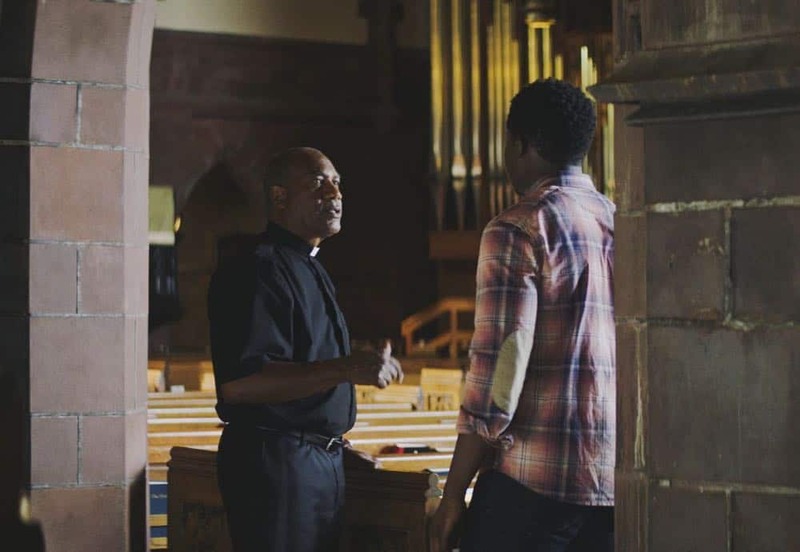 Pictured L to R: Joe Morton as Reverend Arthur Finer and Brandon Micheal Hall as Miles Finer. Photo Credit: screengrab/ÃÂ©2018 Warner Bros. Entertainment Inc. All Rights Reserved. “Heavenly Taco Truck” — Miles’ wallet is stolen when he, Rakesh and Cara check out a food truck the God Account suggests that he “like.” But when the account then suggests that he befriend a private investigator, Miles decides to turn the tables and have the PI help him track down the thief, who Miles believes is linked to the account, on GOD FRIENDED ME, Sunday, Oct. 14 (8:30-9:30 PM, ET/8:00-9:00 PM, PT) on the CBS Television Network. 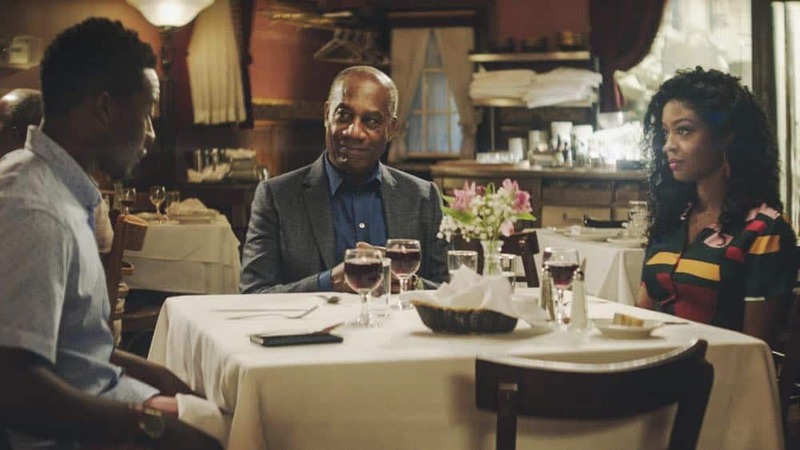 Pictured: Javicia Leslie as Ali Finer and Joe Morton as Reverend Arthur Finer. 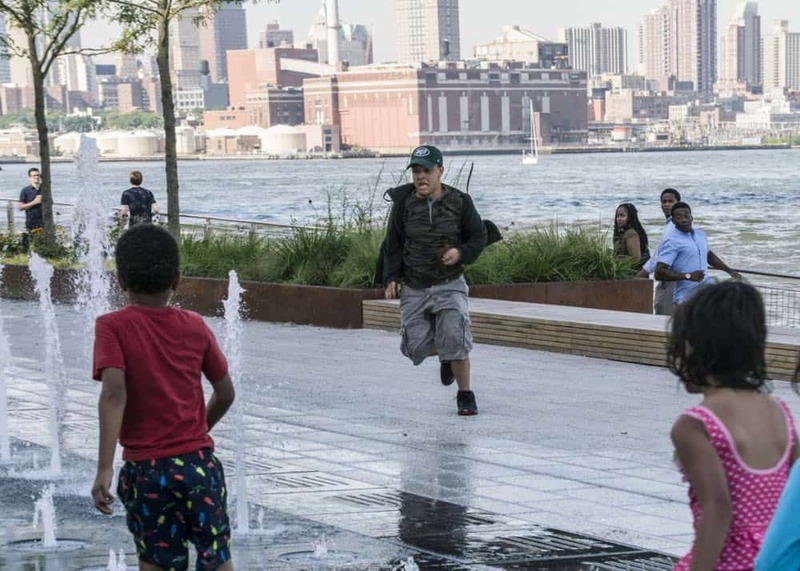 Photo Credit: screengrab/ÃÂ©2018 Warner Bros. Entertainment Inc. All Rights Reserved. “Heavenly Taco Truck” — Miles’ wallet is stolen when he, Rakesh and Cara check out a food truck the God Account suggests that he “like.” But when the account then suggests that he befriend a private investigator, Miles decides to turn the tables and have the PI help him track down the thief, who Miles believes is linked to the account, on GOD FRIENDED ME, Sunday, Oct. 14 (8:30-9:30 PM, ET/8:00-9:00 PM, PT) on the CBS Television Network. 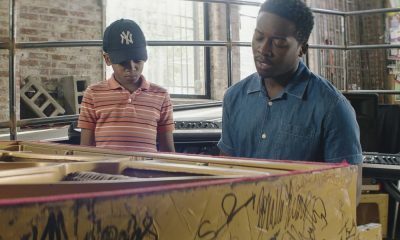 Pictured: Brandon Micheal Hall as Miles Finer. Photo Credit: Barbara Nitke/ÃÂ©2018 Warner Bros. Entertainment Inc. All Rights Reserved. “Heavenly Taco Truck” — Miles’ wallet is stolen when he, Rakesh and Cara check out a food truck the God Account suggests that he “like.” But when the account then suggests that he befriend a private investigator, Miles decides to turn the tables and have the PI help him track down the thief, who Miles believes is linked to the account, on GOD FRIENDED ME, Sunday, Oct. 14 (8:30-9:30 PM, ET/8:00-9:00 PM, PT) on the CBS Television Network. 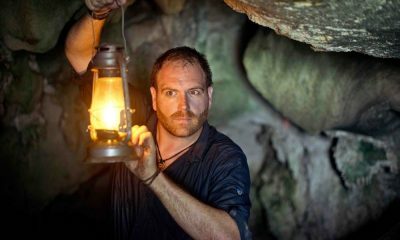 Pictured: Jason Genao as Isaac. Photo Credit: Barbara Nitke/ÃÂ©2018 Warner Bros. Entertainment Inc. All Rights Reserved. 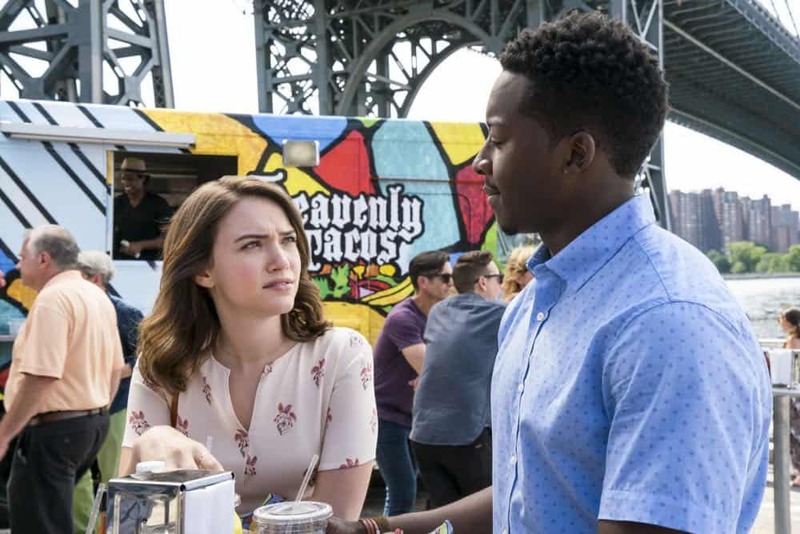 “Heavenly Taco Truck” — Miles’ wallet is stolen when he, Rakesh and Cara check out a food truck the God Account suggests that he “like.” But when the account then suggests that he befriend a private investigator, Miles decides to turn the tables and have the PI help him track down the thief, who Miles believes is linked to the account, on GOD FRIENDED ME, Sunday, Oct. 14 (8:30-9:30 PM, ET/8:00-9:00 PM, PT) on the CBS Television Network. 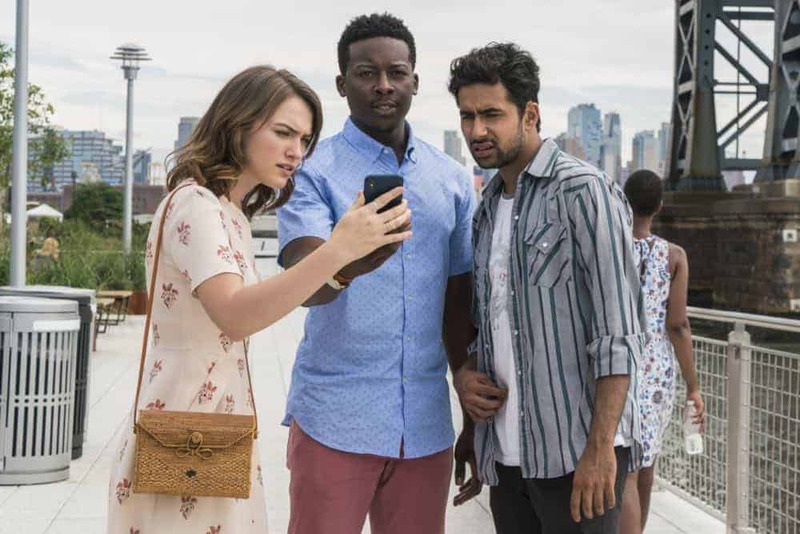 Pictured L to R: Suraj Sharma as Rakesh Singh, Violett Beane as Cara Bloom, and Brandon Micheal Hall as Miles Finer. Photo Credit: Barbara Nitke/ÃÂ©2018 Warner Bros. Entertainment Inc. All Rights Reserved.